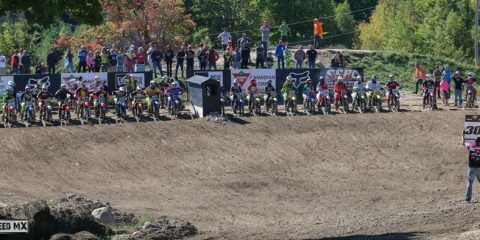 $450,000 to support both road-race and off-road racers. Look for MX2 rider Dylan Wright, who will be piloting the all-new CRF250R and MX1 rider, Colton Facciotti, four-time MX Champion, will once again be on the CRF450R. Both Dylan and Colton will be participating in the full JetWerx Pro National Triple Crown Series for 2018. Also be on the lookout for 2017 Flat Track Canada Champion Brodie Buchan, who will be defending his championship on a CRF450R. For racers looking to earn contingency prize money, simply sign up for the Honda Red Rider program at your local participating Honda dealer, using your valid current year race licence, and join the ranks of the many Canadian Red Rider racers such as Colton, Dylan and Brodie. 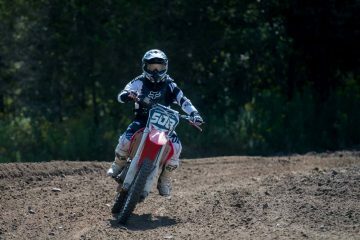 If you ride MX, AX, SX, Flat Track, Enduro, or Road Race, the Honda Red Rider program has something to offer. Honda riders who have previously competed at the pro level in their discipline will be given the opportunity to qualify for the Red Rider Purchase Reward Program. For those riders entering the CSBK lightweight road race class, purchase benefits will be allotted on a case by case basis. Interested racers must submit their race resume along with an application for the purchase program by April 15th, 2018. All riders must possess a valid current year race license and must commit to compete in 75% of the pro series races for which they are applying. $500 in-store credit with the purchase of a select off-road bike before June 1st, 2018, as well as a discount on select Honda generators (see participating dealer for details). All Red Rider applications must be received on or before June 1, 2018. Any Red Rider who purchases a new & unregistered 2017/2018 CRF250R, CRF450R or CRF450RX between February 1st 2018 and June 1st, 2018 and will also qualify for an exclusive $500 in-store credit! Terms and conditions apply. This offer is open to all qualifying Red Riders but cannot be combined with the Purchase Reward Program. Eligible pro racers will be able to apply for a discount of 10% off MSRP on select new unregistered 2017 or 2018 CRF and CBR models. Participating racers will also be eligible to receive a parts allowance dependent on model purchased to assist with season startup (parts allowance varies based on model purchased – see below for details). 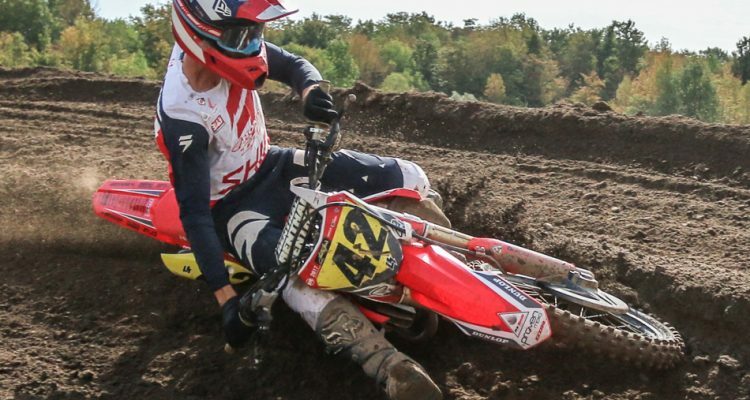 This discount program is available only to Honda-approved “Honda Red Rider” pro racers in MX, AX, SX, Flat Track and Enduro/XCountry (off-road) and CSBK pro Sport and Superbike, as well as the all-new light- weight class. Interested racers must apply through a participating Honda dealer on or before April 15th, 2018 to take advantage of the discount program. Riders must register with a participating Honda dealer. The dealer must submit the required documents on or before June 1, 2018. Red Riders who purchase a new, unregistered 2017/2018 CRF250R, CRF450R or CRF450RX between February 1st, 2018 and June 1st, 2018 will qualify for a $500 in-store credit at the registering dealer (no cash surrender value). Riders must register with a participating Honda dealer to be eligible to apply for this in-store credit. The dealer must submit the required documents on or before June 1, 2018. This offer is open to all qualifying Red Riders but cannot be combined with the Purchase Reward Program. Honda Canada reserves the right in its sole discretion to approve or deny any applications or claims submitted for the Purchase Reward Program. All interested in signing up for any of the Honda Red Rider programs should visit a Honda participating dealer to apply. *Honda Canada reserves the right to change the eligible classes from time to time without notice. **MX3 class is only eligible where MX1 class is not available. **Riders riding in classes that run concurrently can only claim for one overall championship win. 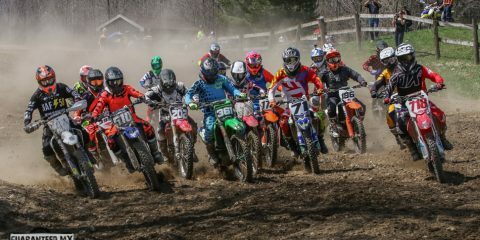 2018 South Western and Eastern Ontario Schedules – ARE YOU CONFUSED?